Background: Kabul Bank, one of the biggest private banks in Afghanistan, faced bankruptcy after widespread corruption in 2010. The owners of Kabul Bank illegally withdrew $925 million, which caused a financial crisis in the bank. The CEO and the Director of the Board were found guilty after the case was referred to the court, however civil society activists have criticized the handling of the case and claimed that most of the perpetrators in the scandal (particularly in high level positions) were not tried and the issue still remains unsolved. As part of his pre-election campaign, President Ghani committed to reopening the case and ensuring that the perpetrators are held accountable. 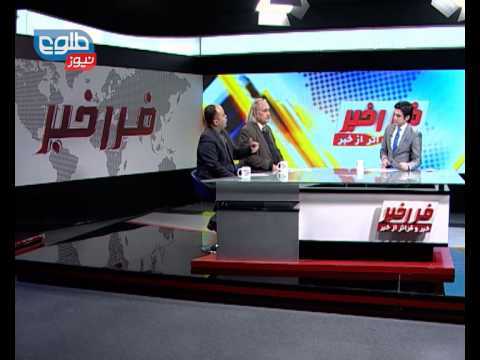 June, 2015: At a press conference in Kabul, AGO spokesman Basir Azizi said they had received the list of defaulters from the Kabul Bank's clearance department – which collapsed in 2010 after over $900 million USD was stolen in a banking scandal. June, 2015: The Director and Deputy of the Kabul Bank's Clearance Department were arrested by National Directorate of Security (NDS) and law enforcement personnel this week. They are charged with receiving bribes from a debtor of the former Kabul Bank. March, 2015: President Ashraf Ghani has met with the investigators of Kabul Bank case, as part of his commitments during his inauguration to finalize the country's largest corruption scandal, his office said in a statement. Investigators emphasized that since the court decision until now, six big debtors had pledged them to pay off their liabilities which, in total, reaches to $72 million USD, according to the statement. December, 2014: On Monday, the Supreme Court ruled in favor of a decision previously taken by an appeals court to increase the prison terms of a number of Kabul Bank executives and to freeze the assets of those suspected of stealing money from the bank. The Supreme Court was forced to rule on the case after a number of defendants, including former President Hamid Karzai's brother, Mahmoud Karzai, objected to the appeals court's initial verdict. The ruling is likely to be taken as closure to the case in the eyes of the international community, which has put pressure on Kabul to take action against its pervasive corruption problems before further aid packages can be promised. However, Acting Minister of Finance, Hazrat Omar Zakhelwal, has emphasized that the work is not finished until all the money embezzled from the bank is recuperated. October 01, 2014: Newly elected President Ashraf Ghani Ahmadzai on Wednesday, October 01 ordered a reinvestigation into the notorious Kabul Bank case, a move that could lend credibility to the claims that his government will be committed to combating Afghanistan's rampant corruption. In the decree, the president has ordered the Supreme Court to reopen the Kabul Bank case and undertake a new investigation.